THE SCENE: In 1995, rock band 4 Non Blondes had sold 6 million copies of their debut album Bigger, Better, Faster, More!, mostly on the strength of their unrestrained hit single “What’s Up?”. 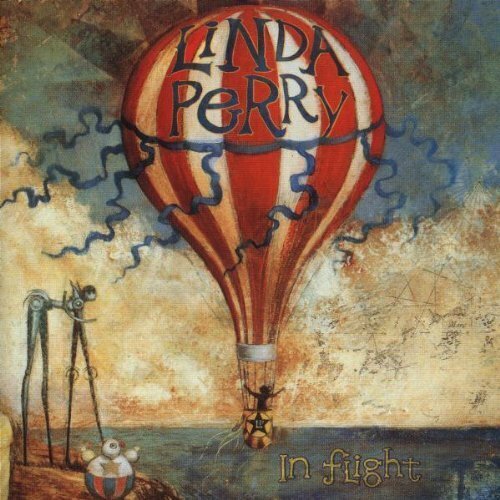 But lead vocalist and songwriter Linda Perry couldn’t stand singing it anymore, nor could she deal with Interscope Records’ constant pressure to produce another “What’s Up?”, as that song didn’t represent her current musical identity. So she quit the band to create a confessional song cycle that was a complete about-face from her last recording, resulting in the austere and elegant In Flight. Where the brash energy of Bigger, Better, sounds like it was recorded during the half-time show of a bullfight, In Flight emotes the quiet stark beauty of a votive candle’s flickering shadow. It slowly but confidently tells you its fears and mistakes with the deliberate stillness of a truth-telling session. The understated production evokes a ever-constant dream state, where the songs feel both weightless and heavy. The faerie garden of “Taken” is dappled with dew-glistened violin, and the swirly ascension of “In Flight” is grounded by a Stevie Wonder-esque gospel ballast. (So I flew unto a tree/ Gather inspiration/ Happy to meet/ All the other birds). THE FALLOUT: Interscope Records was unhappy with Perry leaving the gravy train of 4 Non-Blondes only to replace it with odes to queer love and underage drug use, so they released In Flight with no promotion. It sold a piddly 18,000 copies and was promptly deleted, leading to her 1999 release from Interscope. This was the last the public heard from her until 2001, when scowly meta-wigger Pink demanded she work with Perry, resulting in her co-writing and producing Pink’s 5-million selling M!ssunderstood. In 2005, after contributing to Interscope artist Gwen Stefani’s triple platinum album Love. Angel. Music. Baby., Interscope gave Perry the album masters to In Flight as a token of appreciation. I’ll say that again: Interscope, a label known for combatively managing its bottom line against the wishes of its artists, gave its own property away to an artist because they felt it was the right thing to do. FOR FREE. In Flight is the diary of the only Brazilian-Portuguese-American dyke rock star, and how she made her specific traumas universal. NEXT WEEK: The puzzle of Georgia Anne Muldrow.